An article in the LA Times last week reported that Los Angeles City auditors revealed that the bureau charged with fixing and maintaining Los Angeles’ streets is plagued with problems that include failing to collect or spend hundreds of millions of dollars, keeping shoddy records and neglecting to address the most heavily trafficked roads first. Follow this link to read the article. Below are some highlights and comments. And as you read this, think about what would happen at a community association that so badly managed maintenance and repair. I know what would happen; the owners at the association would be very unhappy. And they would let the board know just how they feel. So why aren’t more people letting the city know just how they feel about the situation? 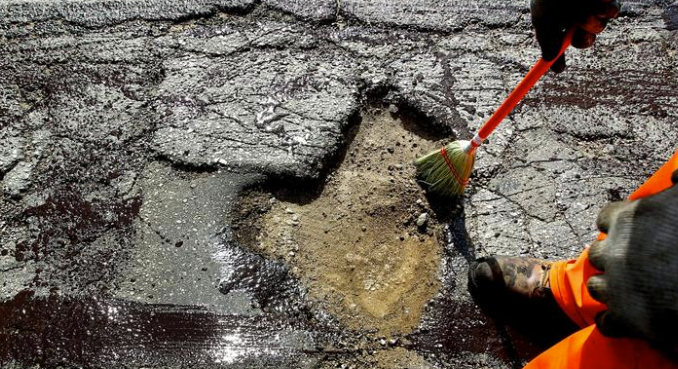 Everyone that drives in Los Angeles knows just how bad the streets are: “Streets so pockmarked or broken that the city gives them a D or F grade make up nearly 40% of city roadways.” And what about the money car owners pay for damage to their cars from the potholes. Consider all of the issues that auditors uncovered, that “Street Services has been paying steeper prices to make its own asphalt than it would if the city bought it from an outside vendor. The city pays nearly $66 per ton to produce asphalt, while private companies have provided it for less than $40 per ton, according to the audit.” Association homeowners would never tolerate this at their community association, at least not the HOAs we represent. Owners complain if there are leaves in the pool after a storm, so they are really going to complain if there are unrepaired sidewalks and potholes in the street. And because of miscalculated fees, Street Services apparently never collected $190 million from utility companies that cut into streets to replace water or electric lines dating back to 1998, the audit found. Seriously?! “Auditors also calculated that nearly 43% of the salary costs attributed to the workers who resurfaced or rebuilt streets went into vacation, sick time, training and administrative tasks instead of repair work. Typically, government agencies try to hold those costs to 25% or less, but the bureau has no targets for how efficiently it uses its workers.” Remember, this is an agency of the City, not a private company. So no one is making this agency accountable. Read the article. I think you will agree that homeowners at California condo, HOA and stock cooperative community associations would never tolerate this level of mismanagement at their associations. And for good reason!